Mother Nature is commonly called the Earth’s most versatile gym, and for good reason. While the treadmill and elliptical have their place, nothing beats exercising in the great outdoors. Hiking is, in our opinion, one of the best forms of exercise – the rough, uneven terrain allows your muscles, bones and tendons to adapt as they work to their fullest. You’ll be subjected to sunlight aiding your body in absorbing essential vitamins and experience stimulation from your environment, keeping you more motivated than you would be indoors. With that in mind, here are our favourite hikes across America. This 3/4 mile trail begins in Chestnut Ridge Park. 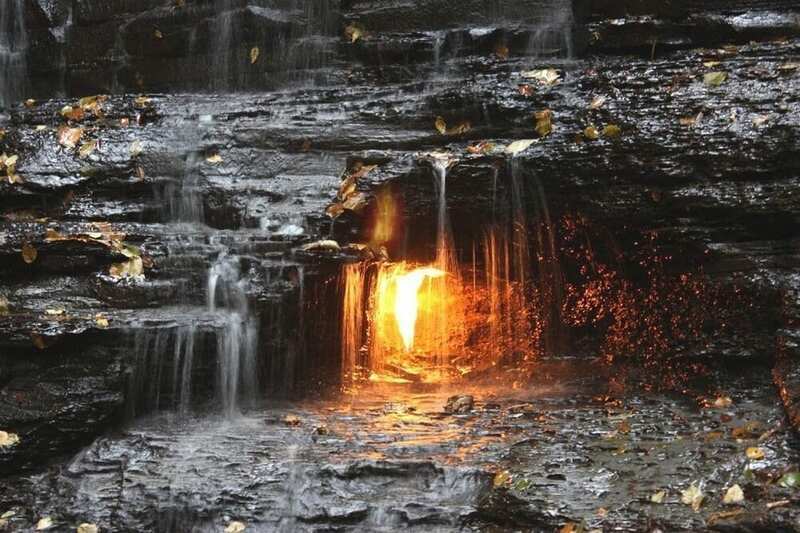 Eternal Flame Falls is one of the most unique waterfalls in the world thanks to it’s natural gas spring. 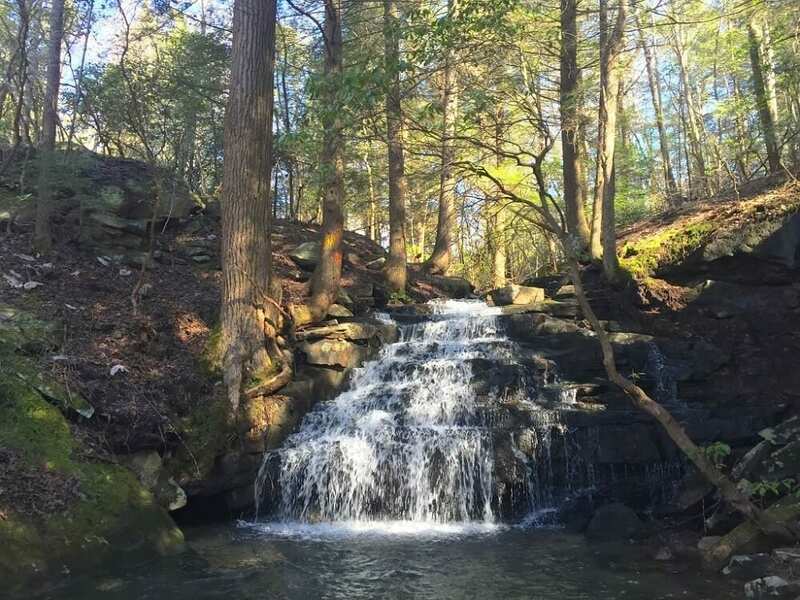 The park itself contains many miles of different hiking and cycling trails though you’ll want to take the path leading to Shale Creek, where Eternal Flame Falls is located. This hike will show you through a beautiful hardwood forest, eventually forcing you to walk upstream of Shale Creek until you get a whiff of the rotten-egg-like natural gas in the air. You may stumble across a large flame buried under the waterfall – if not, be sure to bring a long match stick to reignite the “eternal flame”. This is the longest hike by far, covering just over 9 miles round-trip. Along the way, you’ll pass a total of four grandiose waterfalls, each with their own breathtaking overlooks. Hikers beware, this is a strenuous trek that will take between 6 and 9 hours on a good day. 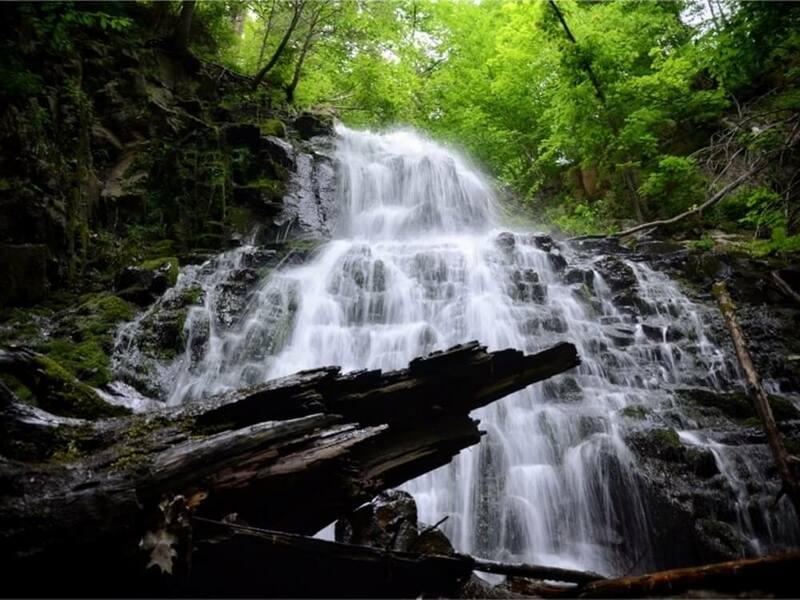 Roaring Brook is the highest single drop waterfall in the area. The hike itself isn’t too difficult, spanning around 3 miles and best done after some light snowfall. You’ll pass through two zones along the way. The gorge area is covered in fine glacial till and slowly slopes down to the east. The lowlands have large marshlands with open water, acting as a spillway for the ice. You’ll find hardwood trees and chestnut oak littered across this area. Because of the diverse environment, expect to see deer, foxes, skunks, raccoons and chipmunks. This hike spans just under 2 miles and will have you walk up several lots of stairs. 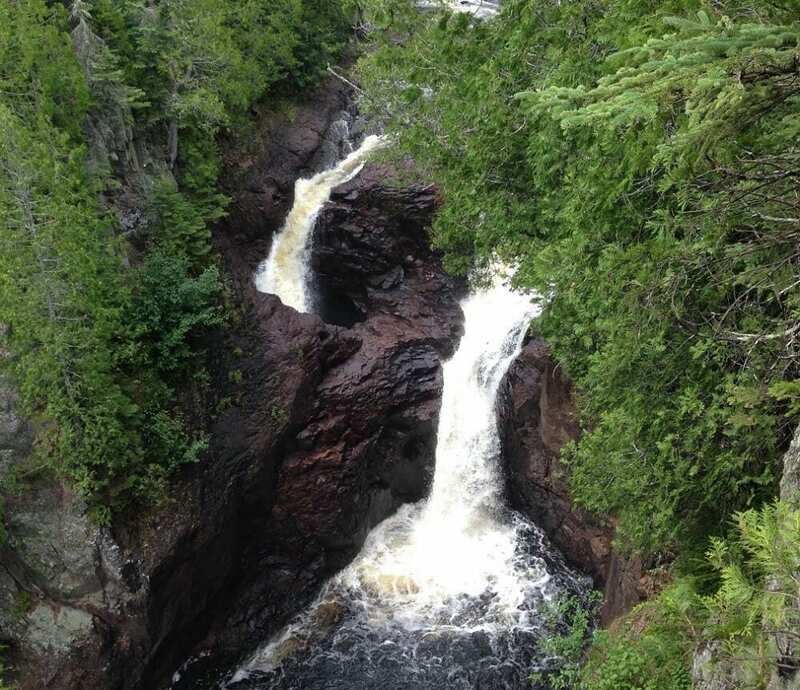 The Brule River flows alongside the Devil’s Kettle trail, occasionally giving you peeks of it’s many waterfalls and raging rapids. This hike and the accompanying river is unique in that the river splits into two as it passes over Devil’s Kettle waterfall. The right half continues downstream from the base of the falls while the left half disappears into a pothole known as the Devil’s Kettle. Don’t drop anything! Visitors have dropped items into the pothole hoping to see them reemerge downstream with no luck. To this day, nobody is really sure where it leads. Not for the faint of heart, this hike is over 16 miles long and camping overnight is definitely recommended. Determined hikers are rewarded with a chance to visit the Waiilikahi Falls on the way back, famous for being one of the only waterfalls in Hawaii reachable without the need of a helicopter. Along the way, you’ll walk over the black, sandy beaches of Waipio Valley, up a zigzagging trail elevating you to just over 360 meters before the trail flattens out and heads into a jungle. 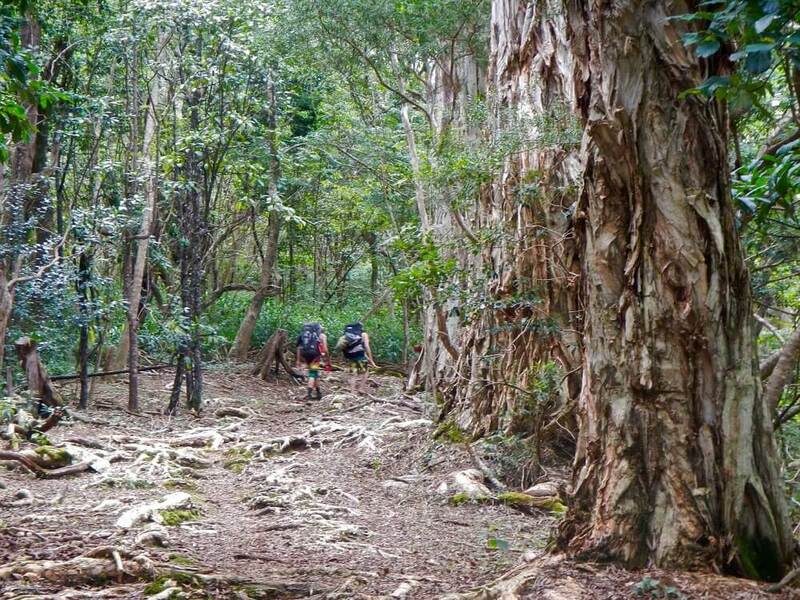 Just 5 miles later, you’ll reach the stunning Waimanu Valley and it’s camping site. If exercise in general that fascinates you, try our Sports and Exercise Nutrition course, or our Sports Psychology & Dynamics course – both are the perfect complimentary qualification for any holistic practice. Whatever you choose here with us at The School of Natural Health Sciences, you can be sure that your CV, spectrum of knowledge, and outlook on life will be forever enriched.